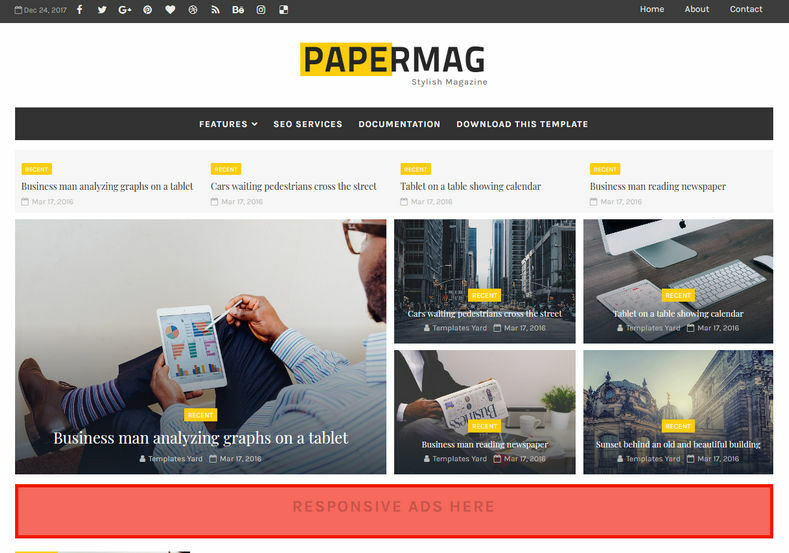 PaperMag Blogger Template is a stylish and professional looking blogspot theme with features that will mostly suitable for creative and stylish people. This theme is perfectly suitable for blogs like fashion, food, makeup, travel, OOTD, personal blog, photography, simple magazine, news, tech, review, video, sports etc. It has some of the most used and popular features that will help you to create a blog in minutes with no difficulties. This theme is loaded with latest fontawesome, google fonts, and perfecly designed with responsive codes and it looks beautiful on any device with cross browser compatibility. It is a highly SEO optimized theme with meta tags, auto alt and title generator which will help you to rank faster on search engines. It comes in stylish color combination of black and white with yellow as action color. Create a blog today with this amazingly designed beautiful looking theme. Simple, Fast Loading, Responsive, Seo Ready, Adapted From WordPress, Ads Ready, Retina Ready, Breadcrumb Navigation Ready, Drop Down Menu, Social Bookmark Ready, Page Navigation Menu, Post Thumbnails, Clean, Browser Compatibility, White, 2 Columns, Elegant, Black, Minimalist, Stylish, WhatsApp Sharing, Free Premium, Slideshow, Magazine, 3 Columns Footer.